Almost a decade after New Police Story (2004), Jackie Chan is back in another reboot of the highly successful Police Story film series which started in 1985. The Hong Kong action star was in Singapore on Tuesday to promote Police Story 2013 and dressed casually in an orange checked shirt and cream pants. The comedy action flick CZ12 was a hit for him last year but he says in Mandarin: "I can't do that genre all my life. After that, I want to show audiences a different side of Jackie Chan." In Police Story 2013, where he plays a cop thrust into a hostage situation, the tone is darker compared to the first four instalments of Police Story. The action scenes remain from the franchise, although he had previously announced that CZ12 would be his last major action film. Explaining his apparent about-face, the 59-year-old says drily: "Since I'm still young, I should make more action films." After a decades-long career spanning plenty of hits, Chan says he knows what audiences want. "They are tired of films with people flying about. They like to see genuine down-to-earth Jackie Chan flicks." After having played cops from the 1980s till today, he observes how movie cops have evolved over the years. "Cops nowadays have more of an interior life. This new film's cop has a family and a daughter, and I find that quite moving. As I get older, I like emotional drama more." He is quite dismissive of his earlier works with all that "endless fighting and jumping". The story here is key and "more important than the fighting", he adds. He professes that he no longer makes films for the money but for his own interest and the fact that he likes challenges. He has yet to take on a villain role though and says he might try playing a "good bad guy, as Sylvester Stallone says". If the right baddie role proves elusive, that is okay. He says his film slate is packed with several projects anyway. "If I don't make films, I don't know what else to do. Every day, I'm thinking of different ideas." Police Story 2013 opens in Singapore on Dec 24. 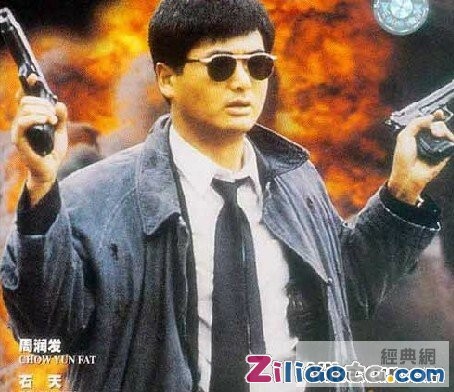 His previous Police story not bad. isnt all police story shoot shoot bang bang????? Different types of shoot shoot bang bang. There is SHOOT shoot BANG bang. And then there is shoot shoot bang bang. his movie he no fight ä¸�å¤ªå¯¹ rite? /Sometime back, he already clarified that he is not retiring. He said he is stopping to do those dangerous stunt himself as age is catching up. onli the cage fight vs MMA? next time these ppl say retiring, last movie, last concert, don't believe liao. every one of them bluff ppl one. honey bunny got cheated by justin beaver izzit?? ?